Saegeras was one of the resigning Titans in the Pantheon, who were the makers of the worlds. While encountering inherently evil and corrupted demon races during his life as a titan, he fell into a depression and the Nathrezim, also known as the vampiric demons, or dreadlords, were able to overwhelm his senses with doubt and despair, which turned him to believe that the vision of the other titans was all but folly and that chaos and entropy were supposed to remain supreme. He left the Pantheon to begin his work. He dedicated himself to destroying all the work that the Titans had done previously. He freed many demon races including the Nathrezim, and took them under his control which was the birth of the Burning Legion. On the planet Argus, which was originally the greatest utopia that ever existed, he found where to start. Argus was originally a planet where all the inhabitants, referred to as Eredar, were incredibly intelligent and gifted with powerful magic. It was ruled by the most powerful of the Eredar: Kil’jaeden, Archimode, and Velen. Saegeras was quick to promise untold power and ability to all those who joined with him, and Kil’jaeden and Archimode were incredibly quick to accept the offer, but Velen had a vision of the future where the Eredar would be twisted into demons, but this warning went unheard by the other two, and Velen fell into despair. He was contacted by the Naaru, an ancient race who hold a deep affinity for the Light, which is the Holy power that empowers priests and paladins. They told Velen to take his followers and flee the planet, and so he did, renaming his people the Draenei, or Exiled Ones. 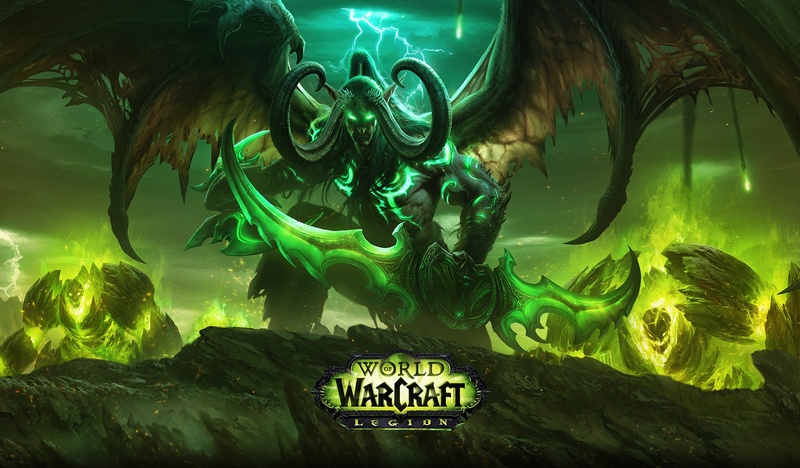 Kil’jaeden’s first move was to enslave the dreadlords, and Archimode’s first move was to employ the Pit Lords, and more specifically Mannoroth. The Burning Legion then went from world to world consuming and burning everything in their path on their travels. Due to the reckless use of magic on Azeroth, the planet where the vast majority of the events of the World of Warcraft game series takes place., the Burning Legion was attracted. The Burning Legion marched on Azeroth with countless demons and other enslaved warriors. Queen Azshara, who was the Queen of the Highbourne elves, grew careless in her ecsasy of her magic, and when Sargeras contacted her with the promise of even greater power, she allowed him into her world, which started the corruption of the Highbourne, and would be one of the main causes for the First War. 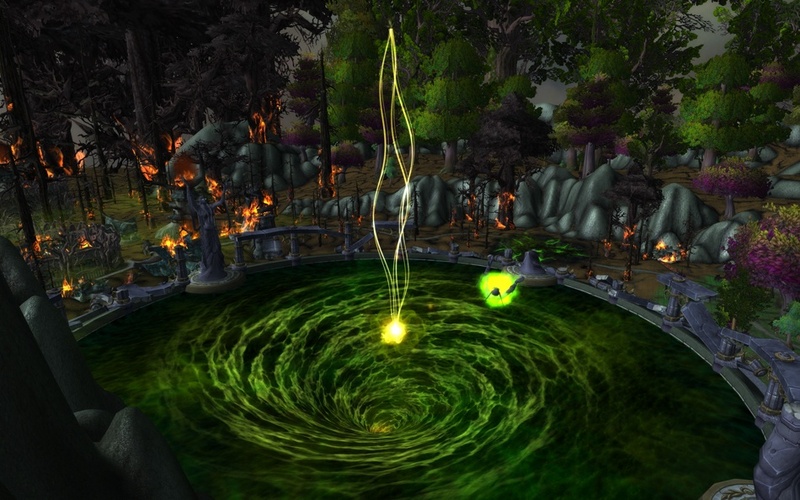 Once the Highbourne elves were entranced by Sargeras’ power, they opened a portal for him that was well within the Well of Eternity itself. Once the Legion had passed through the portal, they immediately began to wreak havoc and destruction on everything they touched. Though some of the elves rushed to defend their homeland, they could do little against the Legion. Malfurion Stormrage was the only one who would have to find help for his people. Illidan Stormrage, Malfurion’s brother, knew of the Highbourne’s magic, and was beginning to become entranced with the same power that was currently destroying their cities. 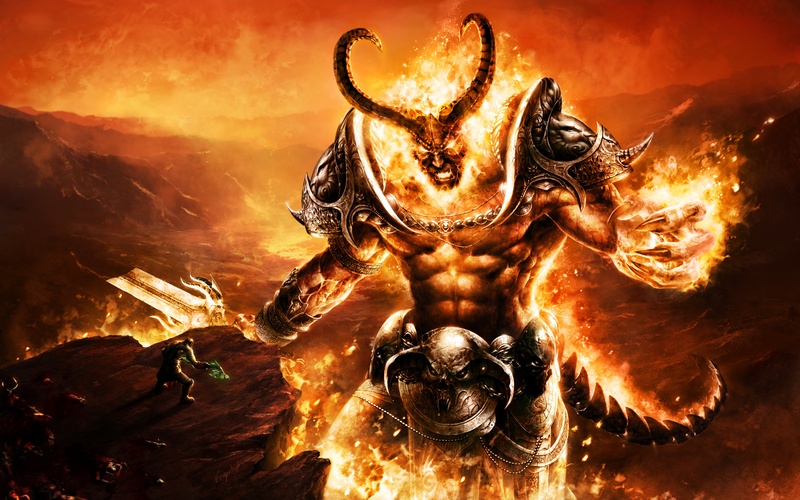 Malfuirion convinced Illidan to denounce his old ways and help his brother to find a resistance force. Malfurion went to find Cenarius, a demigod, who would be able to help them greatly. Tyrande Whisperwind also agreed to follow the brothers in the name of Elune, the priestess of the larger of the two moons, The White Lady, where the second moon, The Blue Child, was sent away to learn the universe when the news of the Legion’s invasion reached them. Upon finding Cenarius, he explained that he would help find the ancient dragons, and enlist their aid. Alexstrasza, the leader of the dragons, agreed to send their might flights to engage the demons. Malfurion was convinced that the Well of Eternity was the gateway that the demons were using, and so it must be destroyed. There was a great battle at Azshara’s Temple, and Illidan betrayed Malfurion by warning Azshara of the coming attack. After Tyrande’s fall, Malfurion went into a rage, vowing to end Azshara’s life. Illidan then crept out from the shadows during the battle and filled vials with the waters from the Well, believing that the demons would crush the night elves civilization, and fled. The battle threw the mages into chaos as they failed to hold the spell that was allowing Sargeras to enter Azeroth. This created an incredible amount of unstable magic and began to throw the Well into a sort of meltdown. The portal within the Well exploded, causing an event known as The Great Sundering. The explosion of the well blew the very land apart and caused a Maelstrom to remain in its place. This event caused nearly 75% of Kalimdor to be destroyed. Queen Azshara and her Highbourne actually survived, and later became the Naga race that we know today. ***Please keep in mind that there is a very large amount of lore that will be covered in the next few posts, so keep an eye out for part 2!